NHL News : Breaking: Jets recall Comrie, Mason out long-term? 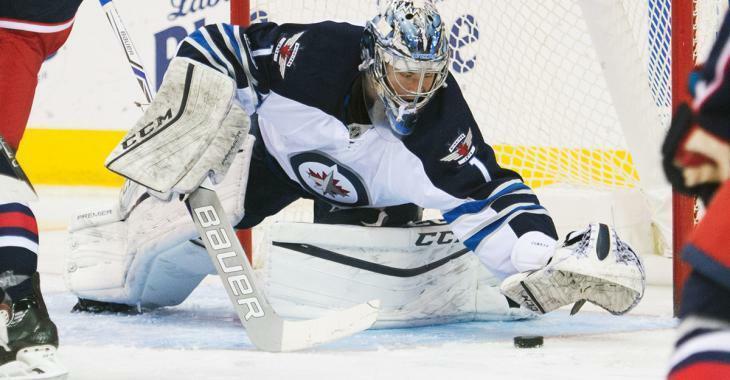 Breaking: Jets recall Comrie, Mason out long-term? Finally an extended audition for the youngster? The Winnipeg Jets have announced that they’ve recalled 22-year-old goaltender Eric Comrie from the AHL’s Manitoba Moose. The news comes hot on the heels of an upper body injury to Jets starter turned backup Steve Mason on Saturday night. Mason left Saturday’s loss against the San Jose Sharks and did not return. The team has yet to offer an update on his status, but with news of today’s recall it’s expected that Mason will hit the team’s injured reserve. As for Comrie, the 2nd round pick (59th overall) in 2013 has faired very well in 13 AHL games this season, posting a 2.30 GAA and .927 save percentage. The youngster has managed only 1 NHL game so far on his resume, but if Mason is out for any meaningful length of time, look for Comrie to earn some starts behind breakout sensation Connor Hellebuyck.